Nearly every business experiences a certain level of strain between the sales and credit teams. This conflict happens for a variety of reasons, but it often has to do with poor communication, differences in goals, and a lack of training. However, conflict can be reduced or even eliminated by training your sales team members to think like credit managers — and vice versa. This important shift in thinking will not only lead to less infighting between the two teams, but a stronger business overall. A primary source of conflict between the sales and credit team members is how they think about a sale. Sales teams are often trained to think in terms of quantity of sales. Its members’ goals are often number based and they are rewarded with commissions, so it makes sense that the sales team is out to land as many transactions as possible. The credit management team has a completely different perspective. Its main goal is the quality of sale; before extending credit, these employees must decide whether customers are a good risk and whether they will be reliable payers over time. Credit managers have the final say about whether a customer will be allowed to purchase on an invoice or credit basis. Their rewards are based on managing risk and collecting outstanding debts. Conflict arises because of the difference in these goals and a lack of understanding and appreciation for the other team’s role. How do you decide which customers will increase revenue without increasing risk? A commercial credit management partner can be your guide. Contact MSCCM at 800-457-8244, fax us at 303-806-5360, or send a request through our website. After all, the goal of both teams is to increase company revenue overall, right? 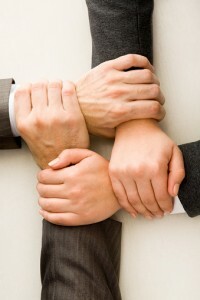 If these two teams make a point to work well together, the whole company benefits from their cooperation. To improve the relationship between the sales team members and credit managers, companies can take steps to improve communication. Team building — Start by forging a connection through a shared event or experience. If the team members know each other and establish personal connections, they will likely work together better. Cross-training — Show team members how the other half lives — and works. When one team has experienced the other’s role, its members will also understand the other’s reasoning and decisions. Focusing on a common goal — Instead of limiting the team’s focus to its department goals, be sure you communicate at a higher level. Share overall company goals and successes regularly, and reinforce how each team’s efforts support the bigger purpose. Opening up options for compromise — Be sure team members understand that they have options for how they work with customers. For example, if a customer isn’t a good risk for a credit account with your company, have sales and credit managers create a program that will help bring on the customer, but at less risk. Making bonuses and incentives interdependent — Create a sales team bonus that kicks in only after the customer pays; provide a boost for credit managers when sales teams meet production goals. Creating such interconnected incentives can motivate teams to work well together. Harmony among the sales team members and credit managers is possible. Processes, policies, and a culture of working toward the overall goal will help these teams collaborate well to make good sales and credit decisions. This entry was posted on Wednesday, January 13th, 2016 at 3:29 pm	and is filed under Blog Posts. You can follow any responses to this entry through the RSS 2.0 feed. Both comments and pings are currently closed.